Beautiful Incentives: Mad Men Giveaway from Wantable co, Tory Burch and Besame cosmetics! Mad Men Giveaway from Wantable co, Tory Burch and Besame cosmetics! 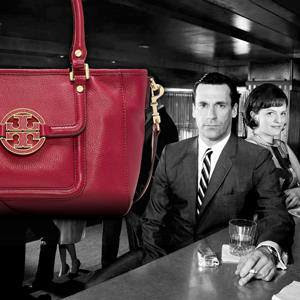 Win the entire collection of the Mad Men show AND a gorgeous Tory Burch bag filled with Besame makeup. This bag is SO beautiful and I ADORE this show so much. I'm so jealous of whoever gets this. Maybe it will be me or you?!! You never know! Your chances are higher the more you share. So share share share on all social networks. Good Luck!